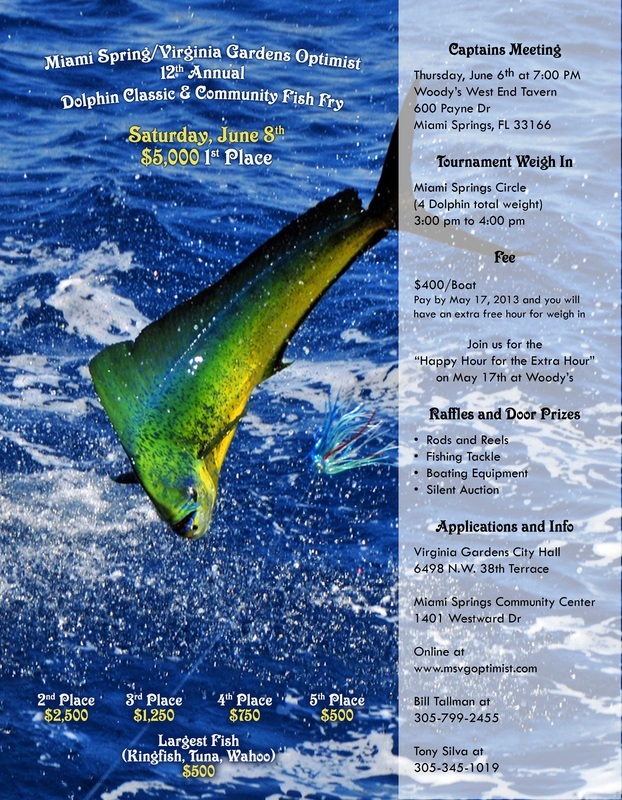 Mark your calendars now for Saturday, June 8th, 2013 which will mark the return of the Miami Springs/Virginia Gardens Optimist Club Dolphin Classic and Community Fish Fry at the Circle in Miami Springs, Florida! For a photo album of last year's festivities, please visit our Facebook Page. To register, click on the registration form icon at the top, print it, and mail it in with your check. As with last year, we will be planning a "Happy Hour for an Extra Hour" - where all teams registering by the early deadline will receive a one-hour extension of their weigh-in time. The Happy Hour will be held on Friday, May 17, 2013 at Woody's West End Tavern. 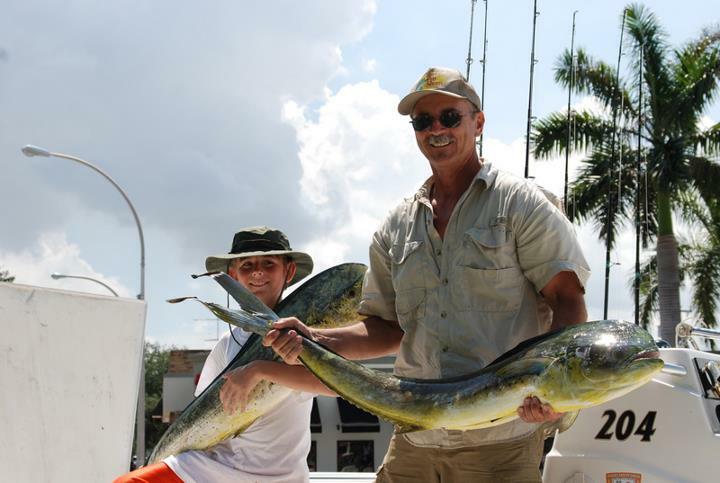 The final registration deadline will be Thursday, June 6, 2013 at the Official Captain's Party and Tournament Kickoff. Details to follow. For more information, or to get on our email list, please contact us at info@msvgoptimist.com!